A small section of George Fox's 1656 letter written from Launceston Gaol is frequently quoted by Friends with its reference to being 'patterns and examples' and 'answering that of God in everyone'. To understand what Fox is trying to communicate with these words, it is important to place them within the context of the whole letter. In this blog post, I have produced a modern English paraphrase of the epistle which is set out below followed by the original text. The letter is strongly missional in tone, encouraging Friends to maintain the vigorous global preaching campaign that had been launched a few years earlier. This was a strong call to Quaker evangelism. 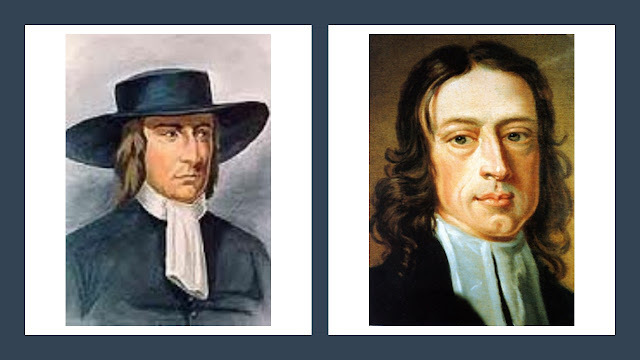 However, consistent with the Pentecostal/new covenant understanding of early Quakers, Fox was not telling Friends to convert people to a particular creed or doctrine or bring them into a human institution. Rather, he was calling them to help people to turn to Christ Jesus as their inward teacher. What mattered was that people entered into an intimate, inward relationship with God in Spirit so that their hearts could be circumcised and God's Law could be written within them. This was the process by which people would be brought into right relationship with God, within themselves, with other humans, with other creatures and with the whole of creation. This was the process that would bring the kingdom of heaven to earth. "This is the word of the Lord God to you all, a charge to you all in the presence of the living God; be patterns, be examples in all countries, places, islands, nations, wherever you come; that your life and conduct may preach among all sorts of people, and to them. Then you will come to walk cheerfully over the world, answering that of God in every one; whereby in them ye may be a blessing, and make the witness of God in them to bless you: then to the Lord God you shall be a sweet savour, and a blessing." "The living God has sent me to give you this message. Let the way you live and the things you say and do, communicate the way of God to others. Be visible examples and a source of inspiration to all people across the world. Rise above and overcome the ways of the world and help people turn to the Spirit of God that dwells within them. Then you will be a blessing to others, they will be a blessing to you and God will bless you too. By doing this, you will be a source of great pleasure to God." Respect God as the source of all things and live your lives guided by divine wisdom and power. Follow this wisdom and power so that it becomes visible to those who are opposed to the way of God. This will encourage them to turn to God too. Try to help others understand what you have experienced of the Truth, get them to respond, oppose their resistance, turn as many people as possible away from darkness and help gather them into a right relationship with God, which is a covenant of light and peace. Proclaim this to the whole world by what you write and what you say. Don’t place limits on where you go, what you say and what you write but make sure that in all this you are doing what God has called you to do. Show great courage and conviction in spreading the message about the true way of God and defeat everything that is opposed to the way of God. You have been given the gift of God’s power so do not misuse it. You have been given the gift of God presence and strength, attend to it. You have been given the gift of God’s wisdom, make sure that the way you live your life reveals God’s glory. Maintain your intimate relationship with God. By attending to God’s power and purposes, allow God to protect you from all deceitfulness at all times and in all places. Live under the reign and rule of Christ whose power is above all things and whose kingdom is everlasting. This is God’s message for you at this time, “make sure that you remain attentive to God’s guidance”. God’s power is spreading across the earth. This is the life force of the whole creation. God’s power and wisdom is pure and heavenly, not violent or destructive. Salvation is coming for the people of God and this will put the world to rights. We should help turn all people to God’s spirit that is within them so that they turn away from human ideas and delusions. Human power and knowledge is nothing compared to the power and wisdom of God which you have received. Do not abuse that power, remain humble and avoid the ever-changing fashions and way of the world. Encourage others to experience the true worship of God. Help them to become like fertile ground, bring out the best in them and gather them under the rule of Christ who existed before the world was created. Disobedience has disrupted the human relationship with God. Those who overcome this disobedience and follow God’s guidance are reunited with God. The only true worship involves turning to the Spirit of God within and overcoming disobedience. Everyone has to allow God’s Spirit to reveal their darkness and cultivate the divine seed so that it can grow within them. Those of us who are living in the Spirit of Christ must work to liberate this Spirit where it is imprisoned in other people, so that they can live in right relationship with God and with others and come to fulfil the true meaning of the Scriptures. The living God has sent me to give you this message. Let the way you live and the things you say and do, communicate the way of God to others. Be visible examples and a source of inspiration to all people across the world. Rise above and overcome the ways of the world and help people turn to the Spirit of God that dwells within them. Then you will be a blessing to others, they will be a blessing to you and God will bless you too. By doing this, you will be a source of great pleasure to God. Don’t allow the deceitful ways of the world to get a hold of you and keep away from corrupting human ideas whether spoken or written. If you keep yourself clean in this way, you will keep your place in God’s kingdom. You will then receive God’s blessings and the Lord will protect you from the idolatrous ways of the world, especially all forms of false worship. Encourage people to turn to the living God and, with divine assistance, help them to turn away from false human teachings, churches and worship practices. All this must be replaced by the Spirit of Christ who inspired the writing of the Scriptures. Those who live in the guidance of this Spirit are liberated from all these false ways and practices. This is the right way to worship God because, through it, God’s will is done and people are brought into the true church of God and the true way of the Lord. God is acting now to overcome all darkness and evil. God says ‘I will arise to overcome all the darkness and evil that has dominated and corrupted the earth for so long. Everyone will recognise my glory’. May God in all his strength and power work in you so that you might encourage everyone else in the world to turn to God’s Spirit dwelling within them. Proclaim that the God who is acting now to establish his kingdom should be worshipped in spirit and in truth (John 4:24). Make sure that you follow the way of God so that all the earth’s people who are in darkness are touched by God’s Spirit and come to respect God’s power and majesty. Walk in the ways of God to the glory of God and don’t let anything guide or lead you other than the life and power of God. Then you will be sustained and kept safe by this life and power. The Spirit is calling all people out of sin and darkness, out of all false worship and false gods, out of all delusions and dead practices so that they can serve the living God. God is calling everyone to reject the old ways and enter a new way of living so that righteousness and justice might be established throughout the world. Therefore, those who have already experienced this transformation, and who are living in Christ the Lamb of God, get to work. Do God’s work with faithfulness and in the strength and power of the Lord and follow his guidance with obedience. This will safeguard you from unreasonable people and protect you from the ways of the world. In this way, you will live in the power of God’s eternal kingdom and experience its glory and life. In the power of life and wisdom, and dread of the Lord God of life, and heaven and earth, dwell; that in the wisdom of God over all ye may be preserved, and be a terror to all the adversaries of God, and a dread, answering that of God in them all, spreading the truth abroad, awakening the witness, confounding the deceit, gathering up out of transgression into the life, the covenant of light and peace with God. Let all nations hear the sound by word or writing. Spare no place, spare no tongue, nor pen; but be obedient to the Lord God: go through the work; be valiant for the truth upon earth; tread and trample upon all that is contrary. Ye have the power, do not abuse it; and strength and presence of the Lord; eye it, and the wisdom; that with it you may all be ordered to the glory of the Lord God. Keep in the dominion; keep in the power over all deceit; tread over them in that which lets you see to the world's end, and the utmost parts of the earth. Reign and rule with Christ, whose sceptre and throne are now set up, whose dominion is over all to the ends of the earth; whose dominion is an everlasting dominion, his throne an everlasting throne, his kingdom an everlasting kingdom, his power above all powers. Therefore this is the word of the Lord to you all, "Keep in the wisdom of God," that spreads over all the earth; the wisdom of the creation, that is pure from above, not destructive. For now shall salvation go out of Zion, to judge the mount of Esau; now shall the law go forth from Jerusalem, to answer the principle of God in all; to hew down all inventors and inventions. For all the princes of the earth are but as air to the power of the Lord God, which you are in, and have tasted of; therefore live in it, that is the word of the Lord God to you all; do not abuse it; keep down and low; and take heed of false joys, that will change. Bring all into the worship of God. Plough up the fallow ground. Thresh and get out the corn; that the seed, the wheat, may be gathered into the barn: that to the beginning all people may come; to Christ, who was before the world was made. For the chaff is come upon the wheat by transgression. He that treads it out is out of transgression, fathoms transgression, puts a difference between the precious and the vile, can pick out the wheat from the tares, and gather into the garner; so brings to the lively hope the immortal soul, into God out of which it came. None worship God but who come to the principle of God, which they have transgressed. None are ploughed up but he who comes to the principle of God in him, that he hath transgressed. Then he doth service to God; then is the planting, watering, and increase from God. Spare no deceit. Lay the sword upon it; go over it. Keep yourselves clear of the blood of all men, either by word or writing, and keep yourselves clean, that you may stand in your throne, and every one have his lot and stand in the lot in the ancient of days. The blessing of the Lord be with you, and keep you over all the idolatrous worships and worshippers. Let them know the living God; for teachings, churches, worships must be thrown down with the power of the Lord God, set up by man's earthly understanding, knowledge, and will. All this must be thrown down with that which gave forth the scripture; and who are in that, reign over it all. That is the word of the Lord God to you all. In that is God worshipped, that brings to declare his will, and brings to the church in God, the ground and pillar of truth: for now is the mighty day of the Lord appeared, and the arrows of the Almighty gone forth; which shall stick in the hearts of the wicked. Now will I arise, saith the Lord God Almighty, to trample and thunder down deceit, which hath long reigned and stained the earth. Now will I have my glory out of every one. The Lord God Almighty over all in his strength and power keep you to his glory, that you may come to answer that of God in every one in the world. Proclaim the mighty day of the Lord of fire and sword, who will be worshipped in spirit and in truth; and keep in the life and power of the Lord God, that the inhabitants of the earth may tremble before you: that God's power and majesty may be admired among hypocrites and heathen, and ye in the wisdom, dread, life, terror, and dominion preserved to his glory; that nothing may rule or reign but power and life itself, and in the wisdom of God ye may be preserved in it. This is the word of the Lord God to you all. The call is now out of transgression, the spirit bids, come. The call is now from all false worships and gods, from all inventions and dead works, to serve the living God. The call is to repentance, to amendment of life, whereby righteousness may be brought forth, which shall go throughout the earth. Therefore ye that be chosen and faithful, who are with the Lamb, go through your work faithfully in the strength and power of the Lord, and be obedient to the power; for that will save you out of the hands of unreasonable men, and preserve you over the world to himself. Hereby you may live in the kingdom that stands in power, which hath no end; where glory and life is. From The Works of George Fox, Volume 1, pages 287-289. Fox's words are fully relevant and applicable today. Christ's power and wisdom are available to bring our own human spirit and that of others into obedient response to God, our rightful place and privilege. This is the essential thing, and that which should be first sought and known. So much of what passes for Quakerism today is distraction from the one thing needful that Fox holds up before us like a banner in the sun. Thank you for your comment. I think you point to a very simple but challenging truth. If the Quaker way is founded on the experience of an on-going inward baptism, feeding on the Bread of Life and drinking from the fruit of the one true vine, how can it sustain itself when that kind of divine intimacy is lost? I foresaw the Lord always before my face, for he is on my right hand, that I should not be moved: Therefore did my heart rejoice, and my tongue was glad; moreover also my flesh shall rest in hope: Because thou wilt not leave my soul in hell, neither wilt thou suffer thine Holy One to see corruption. Thou hast made known to me the ways of life; Thou shalt make me full of joy with thy countenance (Acts 2:25-28). Thank you Pat, I agree that Pentecost is key! Nice translation, Stuart. Thank you. Thanks for both the translation and the original, Stuart. Glorious passionate language. Thanks Fred. Yes, it's well worth reading the whole letter. I suspect that reading it aloud to others is the best way to appreciate its full impact.